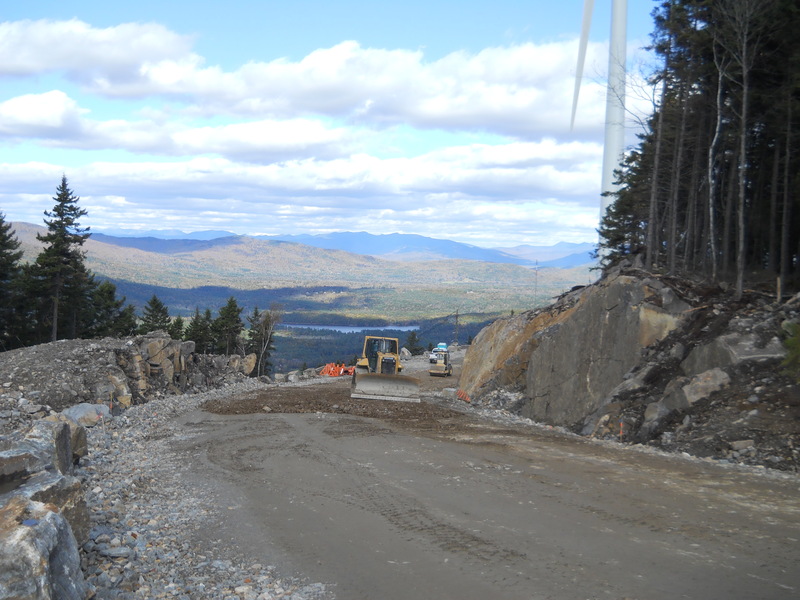 Alvin J Coleman & Son, Inc completed their yearlong project on the Groton Wind Farm in the Fall of 2012. AJC performed all of the sitework, crane & access road construction, and tower foundation work for the project, working for Cianbro Corporation. 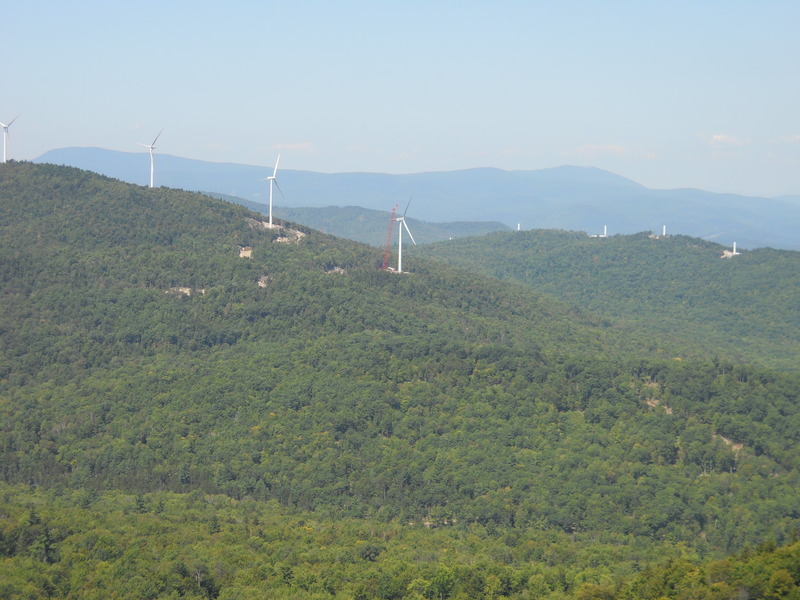 Groton Wind is owned by Iberdrola Renewables and is a 24 tower project, which produces 48 Mega Watts of electricity. The project consists of 85 acres, where 14 miles of roads were constructed by Alvin J Coleman & Son, Inc at an elevation of 1,850 to 2,300 feet. 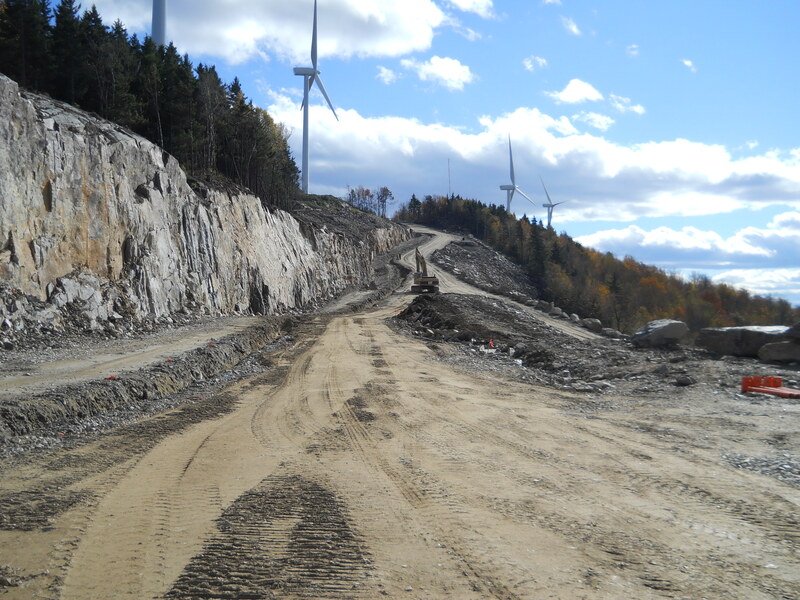 The terrain on the Groton Wind Farm was extremely steep and rugged. AJC had to blast over 400,000 CY of ledge to build the roads and tower foundations. For information regarding our wind services fill out the contact form below or call 603-447-5936.